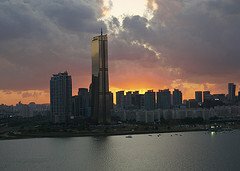 Pick up from Hotel at Seoul and transfer to Jinji and visit the Jinjuseong Fortress. After, transfer to Busan and visit the Nurimaru APEC House. End your day at Centum City Shopping Mall. After breakfast, leave for Ulsan, Gyeong ju and Daegu. 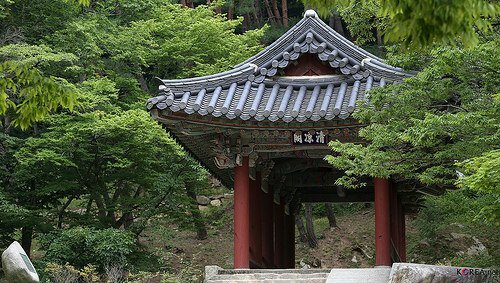 Visit the Ulgi Park, Gyeongju Bulhuksa Temple, National Museum, Anapji Pong and the Daereungwon Tumuli Park. After breakfast, leave for Andong and visit the Hahoe Village. After, head to Wonju and visit the Hanji Theme park. Leave for Gangneung and visit the Jumunjin Fish Market. Next, go for a short hike at Jujeongol of Mt. Seorak and enjoy the nature. After lunch, return to Seoul and drop off at hotel. 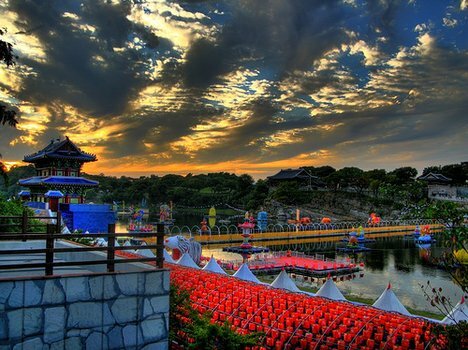 Pick up from Hotel in Seoul and transfer to Gongju, the ancient capital of Baekhe Kingdom. Head to Gonsanseong Fortress, the tomb of 25th Baekhe’s King Muryeong and the Magoksa Temple. After breakfast, proceed to Jeonju Hanok Village and have a Jeonju Bibimbap Lunch. Then depart for Tapsa Temple. After breakfast, head to Boseong’s Green Tea Plantation. Then, proceed to Suncheon for the Folk Village and the Suncheon Bay Ecological Park. After, proceed to Yongsan Observatory and the Eco Museum. 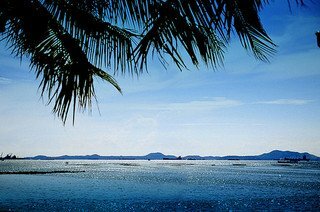 Take a cruise ship to enjoy the beautiful scenery around Odongdo Island. Then transfer to Jinju and visit the Jinjuseong Fortress. After lunch, transfer back to Seoul. Explore Gwangbokro Shopping Street ► Gukje Market ► Changseondang Food Alley ► Piff Square ► Jagalchi Market ► Nampo Underground Shopping Street. You may do your last minute shopping before you proceed to the airport for your flight back home. 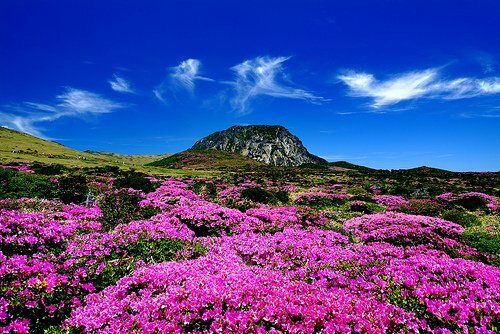 Upon arrival to Incheon make your way to Gimpo Domestic Airport for your flight to Jeju Island. Make your way to Hotel or rent a car for your trip. Upon arrival Incheon International Airport. Local guide will meet at Gate “A " 09:30 am. Tour will start visit to 63 City included Big 3 ticket for Sky Art, Sea World &amp; Wax Museum. Aftet transfer to visit Nami Island, see the beautiful tree road of the Korean famous drama “Winter Sonata". Following, visit Petit France, the shooting place of "My Love from the Star". This Morning, visit to Mt. Soraksan National Park, considered one of Korea’s most beautiful mountains, is divided into Inner and Outer Seorak by a long winding ridge, known as Hangyeryeong Pass and Shinheungsa Temple, famous for it’s bronze bell cast in AD 725. After visit the Teddy Bear Farm, this park displays all kind of different Teddy Bear traditional costume. Visit the Daepohaeng Fish Market where you can buy dried seafood. Experience Odaesan Ginseng Spa. After breakfast, transfer to Yongpyong or Jisan Ski Resort for ski tour. After that, visit to Lotte World (Include Passport Ticket). 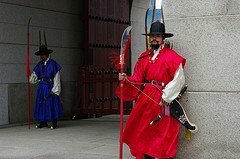 This morning visit to Gyeongbokgung Palace, Gyeongbokgung was the first royal palace built by the Joseon Dynasty and served as the main palace of the Joseon Dynasty. Afterthat proceed to Sarangchae, Shopping at National Ginseng Shop, Herbal Shop and Cosmetic Shop. Experience hands on making Kimchi, bring the do-it-yourself Kimchi back home to your friend as a present. Learn how to wear the Korean Traditional Costume, Myeongdong &amp; Lotte Duty free, the popular street is in the heart of downtown Chuncheon. Free at leisure until time transfer to airport by airport shuttle bus. Upon arrival check-in by own without tour guide. Upon arrival. Local guide will meet at Gate “A" 09:30 am. Tour will start visit to 63 City included Big 3 ticket for Sky Art, Sea World &amp; Wax Museum. After transfer to visit Nami Island, see the beautiful tree road of the Korean famous drama "Winter Sonata". Following, visit Petit France, the shooting place of "My Love from the Star". This morning visit to Gyeongbokgung Palace, Gyeongbokgung was the first royal palace built by the Joseon Dynasty and served as the main palace of the Joseon Dynasty. After that proceed to Sarangchae, Shopping at National Ginseng Shop, Herbal Shop and Cosmetic Shop. Experience hands on making Kimchi, do-it-yourself Kimchi back home to your friend for present. Learn how to wear the Korean Traditional Costume. Myeongdong &amp; Lotte Duty free, the popular street is in the heart of downtown Chuncheon. After breakfast, visit War Memorial Museum &amp; Shincho Ladies Street for shopping. After lunch, transfer to Gimpo Domestic Airport for flight to Jeju Island known as the Island of Fantasy. On arrival, proceed to visit to Yongduam Rock (Dragon Head Rock), a volcanic rock that was created from an eruption. Next, experience the phenomenon of going uphill with the engine off at Mysterious Road. Visit to Jeju Folklore &amp; Natural History Museum, Seongsan Ilchulbong, the world’s biggest crater at seacoast and visit to Seongeup Folk Village which is still remains as a typical mountain village and designated as a Folklore Preservation Zone. Continue to Oedolgae, a rocky island formed by volcanic eruption 1.5 million years ago. Orange Farm fruit plucking. View the Cheonjiyeon Waterfalls. Continue to Seopjikoji. Depart by domestic flight to Seoul. Arrive, proceed to Shinchon Lady Street, where three major universities are located. After that, you will take the transfer to Incheon Airport by airport shuttle bus for your flight back home.